My mother would make Lok Lak for one simple reason, to get us to eat vegetables. Not that we hated veggies, we just liked our veggies better with a side of seared beef! 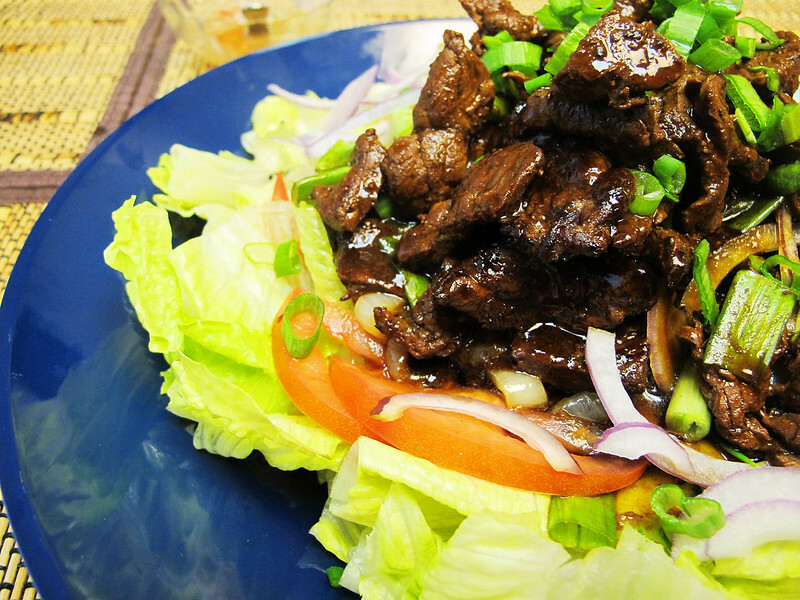 Lok Lak is a glorious hot salad with a bed of crisp whole lettuce leaves, juicy tomatoes, cool cucumbers and sharp raw onions; all of it topped with quickly stir-fried beef and it’s juices. We would spear fork full and dip it all in a sauce of lime juice and black pepper before shoving greedily into our mouths. In those days, beef was expensive and we ate lots of chicken and fish, though truth be told, I think my parents just told us it was expensive. Opting out instead for a diet of mostly fish, chicken and pork because it’s what they’re used to eating back in Cambodia. My parents had been in America less than a decade then, to them, beef was still a luxury and would be best eaten as a Big Mac. On those occasions when my father would bring home tenderloin, sirloin or another cut of beef, I would scramble onto a chair near the stove and watch my mother arrange piles of fresh veggies on plates before simply marinade slices of beef in a dark magical concoction. Set aside and ready to stir fry once my father has washed up and ready to eat. 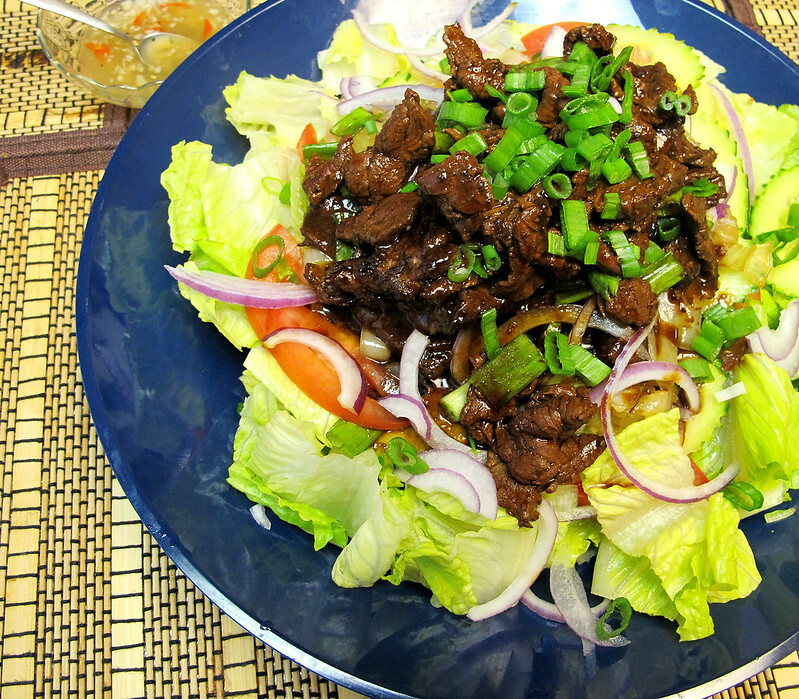 Lok Lak was possibly brought to Cambodia via the French from Vietnam who’ve named the dish Bo Luc Lac, “shaking Beef” for the method of quickly searing and shaking the beef on a hot skillet. Cambodians have since brought the dish into its culinary hearts that it’s hard to imagine it didn’t originate in our country. Hitting all the senses that makes Cambodian food so unique, salty, sweet, sour and spicy. My mother would present a huge platter of Lok Lak to the table with steaming plates of rice. Our eyes would grow round as the delicious aroma would waft in our direction, mouths salivate in carnivorous desire. 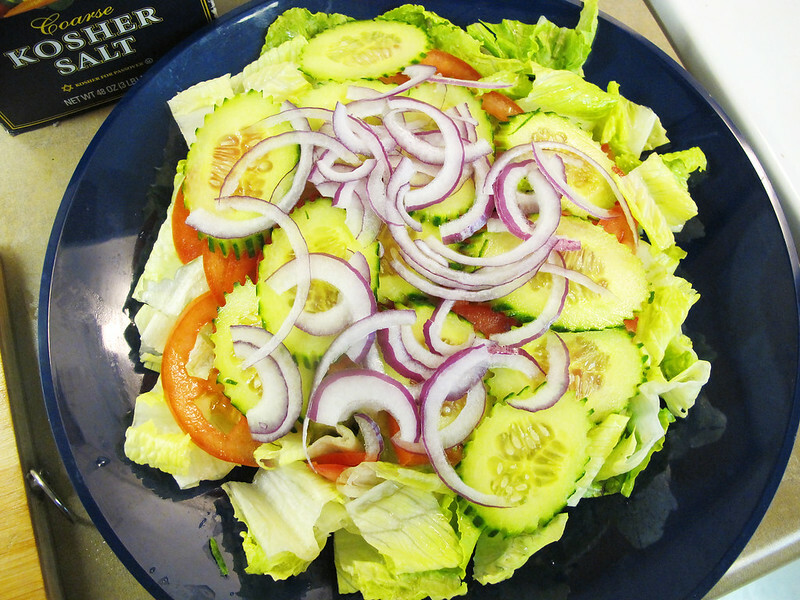 Before his children starved to death in their dramatic fashion, my father would run a knife through half the salad, cutting pieces of veggies into bite sizes for us. I would drown my salad in lime pepper sauce, even then I loved sour things while my sister conservatively dipped only the teeniest amounts. My parents would each pull whole lettuce leaves from the bottom and fashion themselves a lettuce wrap with all the ingredients, which is how lok lak is traditionally eaten. As an adult sometimes I do the lettuce wrap route, but more often than not, I still cut my veggies into bite size, drizzle on too much lime pepper sauce and pile the whole thing on top of my rice. A mish mash of flavors that have yet to leave my memory. I recently made my father a big platter of Lok Lak, I bought all the traditional components, except he took the leafy green lettuce I bought and implored me to use the romaine he bought too much of before it goes bad. Ok Papa, I’ll use the romaine. He says my recipe is good, but mom makes it better. In his eyes, mom will always make everything better, I don’t mind, I expect my future husband to have the same sentiments. In other news, I’m excited that my friend Rosemary will be giving me a crash course in photography and helping me build a light tent so I can have extra pretty pictures for my blog. It took me so long to post this because I was unhappy with my pictures of Lok Lak but had no time to redo them. First world problems! Hopefully with Rosemary’s help I’ll finally have some creative direction and beginner’s skills under my belt. I’m so excited! 2. Mix Lime Pepper sauce together, stirring to dissolve sugar. Set aside. I swear there’s a ton of pepper in this sauce, it’s just sunk to the bottom! 4. 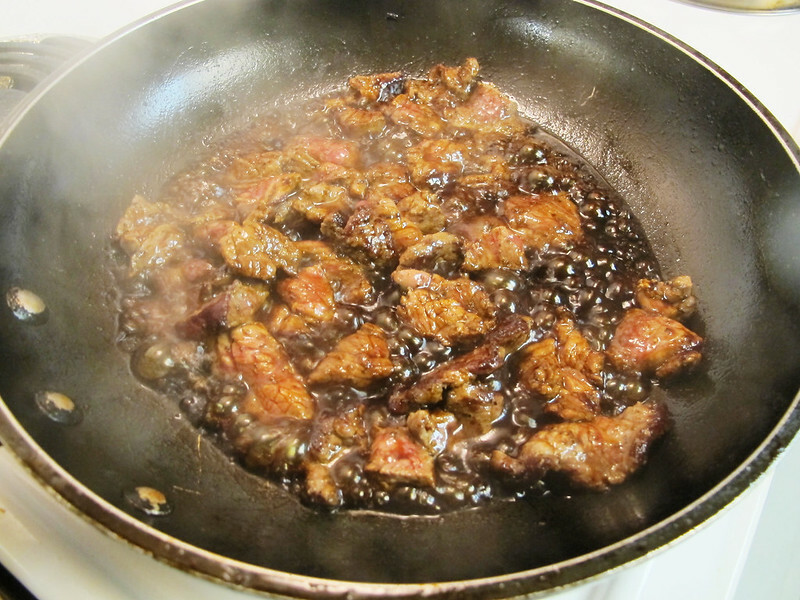 In a saute pan over high heat, add 2 tbsp oil. 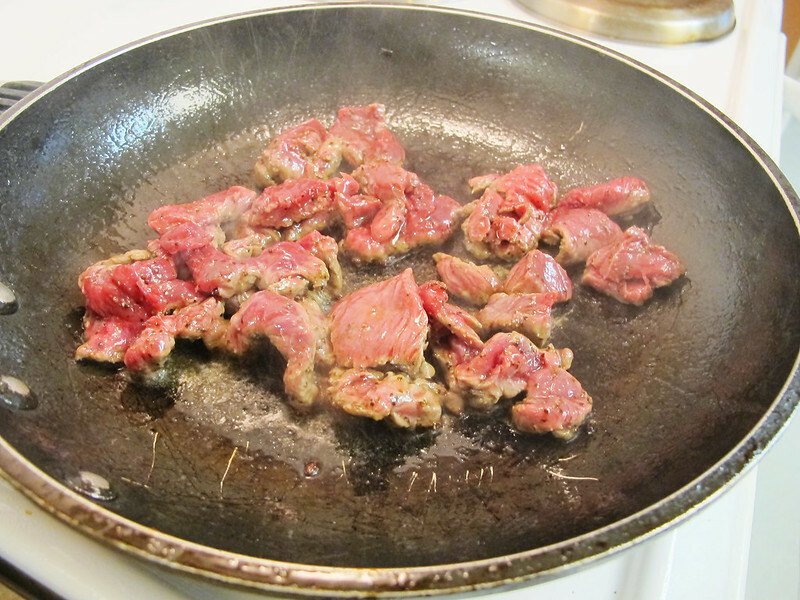 When smoking hot, add beef and quickly stir fry about 30 seconds. 5. Add stir-fry sauce and allow to boil and reduce to a thick sauce, about 1-2 mins. 6. 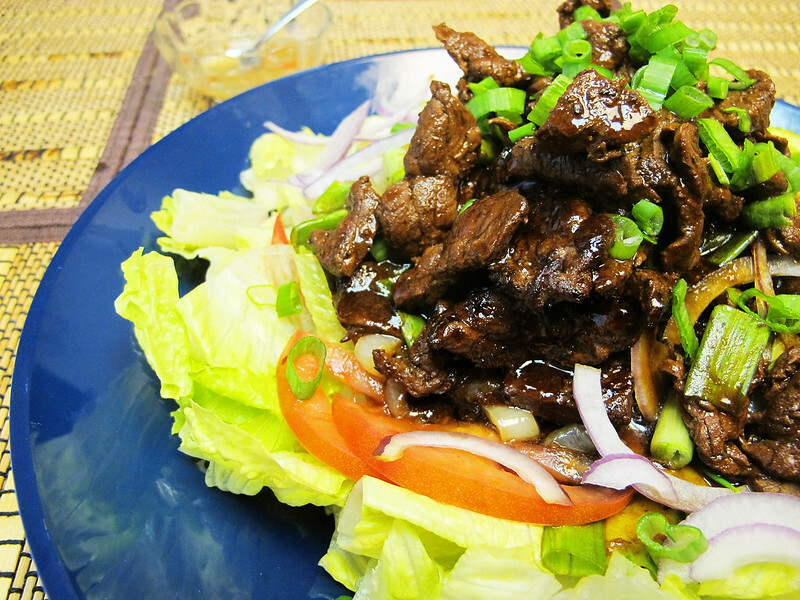 Pour beef and sauce over salad, top with scallions. Serve with Lime Pepper sauce and hot rice. Only a few more days til Khmer New Years! I adore Khmer music and can’t wait to dance the night away. Week 14 of 52… CHECK! This looks sooo good! And nothing wrong with these pics, especially when it makes me wanna snag one of those delicious looking pieces of sauce-covered beef. Awesome, I’ve been meaning to re-do this because I did such a horrible job on the pictures! Will try to sometime this week! Awesome thanks for sharing the recipe! Thank you!! I need to go back and re-do the pictures as I feel I didn’t do it justice! My husband is Khmer and since we moved in together I’ve noticed his diet has been limited to mainly Mexican food. He’s never asked me to cook him any Asian dish but I know that when I do he loves it! I’m 4 months pregnant and had a craving for Lok Lak when I stumbled across your Blog. I’m very glad that I did come across this great little blog bc I just love it! I love reading and getting to know you a little through your posts. I see you haven’t posted anything since 2014. I really wish you would continue posting but I know how life can get in the way of stuff like this. Thanks for the recipe and hope all is well. What wonderful kind words, thank you! Congrats to you and your hubby, Mexibodian babies are super adorable! I’ve been busy and just dealing with life in general but I do plan on blogging again! In fact, I have a few recipes in mind, just haven’t found the time to get it all down. I stumbled upon this site and tried one of your recipes. 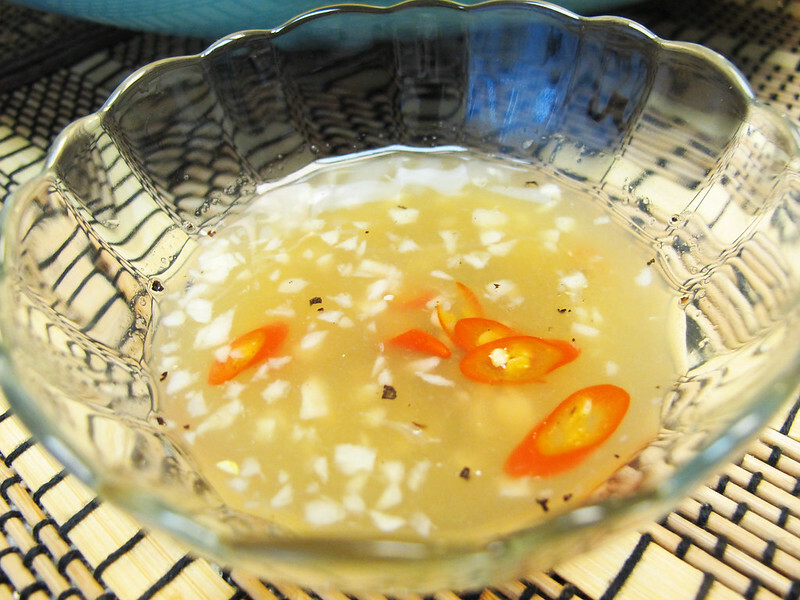 I must say that I am really pleased with the ‘lok lak’ recipe. I never liked beef lok lak growing up, but this recipe has changed my mind and even my husband loved it. Thank you for sharing it! Thank you so much for trying the recipe and super glad you enjoyed it! Just had beef lok lak for lunch yesterday from one Cambodian restaurant here in Long Beach, CA. Immediately thought of preparing one this coming Holiday season when friends and relatives get together in Florida, so I browse through some recipes on line looking for something close to the version that I use to order in that same restaurant and happened to stumble across your blog that uses ( i think) similar ingredients that they use – can’t say it’s authentic but at least I love the taste. Wish me luck for the first Cambodian dish that I will try to prepare this holiday season. I’ll try to post an update later. Thank you for your recipe though and Merry Christmas. Good luck, I hope it turns out well and everyone enjoys it! Yes please keep me updated, you can tag me via instagram @ refugeekitchen as well! Some people eat to live... I LIVE TO EAT!